The intelligent temperature control system developed for solder robot applications detects very small temperature changes at the tip of the tip, allowing for precise temperature control during soldering, ensuring temperature overshoot and ensuring solder quality in repetitive production. 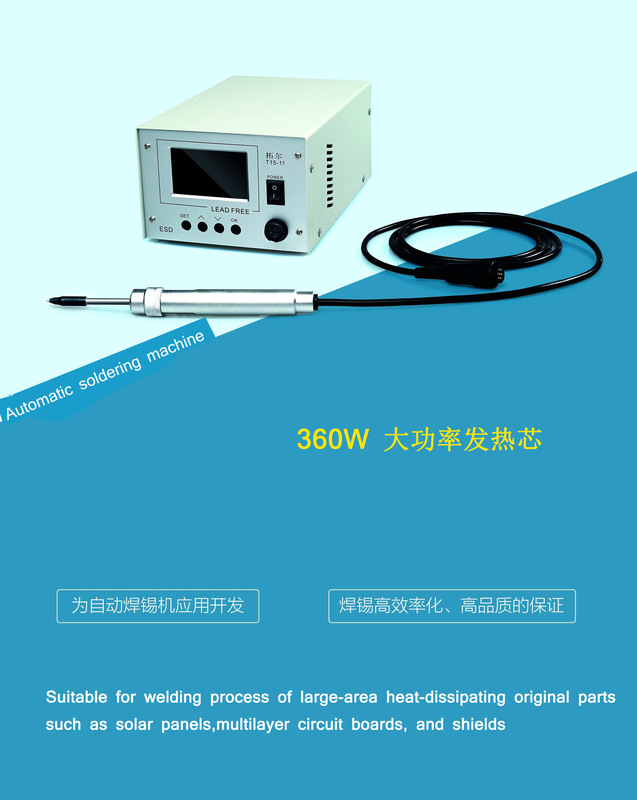 The patented heating system has strong heating performance, heating performance is several times higher than traditional products, and the regenerative performance is greatly improved, which not only facilitates the welding of large heat-absorbing substrates but also shortens the welding time, and is suitable for long-time and heavy-duty welding work. The temperature control system eliminates the need for manual temperature calibration during use, greatly simplifying operation and improving work efficiency. 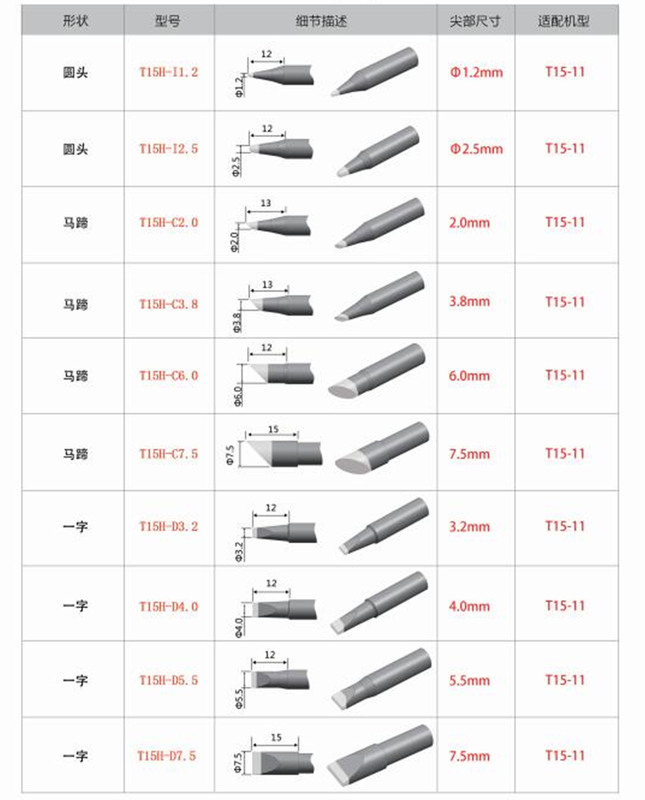 The card slot type plug-in design eliminates the positional deviation caused by the replacement of the soldering iron tip, and the repetitive tip replacement is simple and quick. It has a communication interface, which can be connected to other equipments of the pipeline to realize connection. The operating status and temperature can be outputted externally, and the operating status of the equipment is monitored once.